Dhaka Wasa Job Circular 2017 has been published. jobs resignation of Dhaka wasa are contain few category. It’s a huge opportunity to unemployed people Who want to do in this sector. Dhaka water supply & Sewerage authority original job circular converted to an image file,so that everyone can read easily or download this job circular. Dhaka job circular 2017 related all information has been found our website that is allresultsbd24.com is the most valuable part of Dhaka city. Dhaka city is the most important zone in Bangladesh. 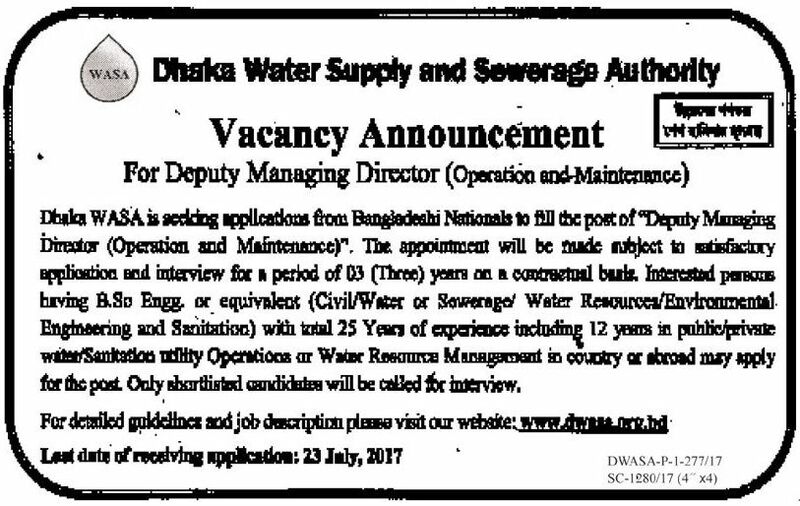 With the job chances in Dhaka WASA, anyone can take this opportunity. 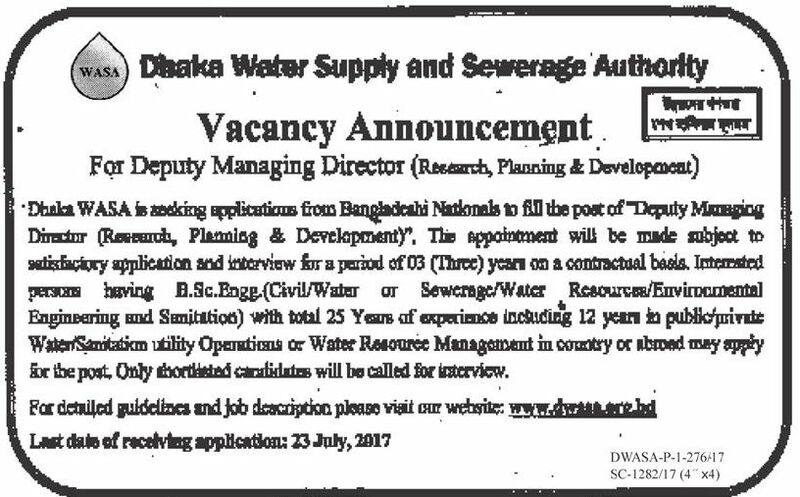 Dhaka wasa offer to people for exciting career opportunities in Dhaka Water Supply and Sewerage Authority. Dhaka Wasa think that young and energetic people is the key to success in this sector that create brightness Dhaka city corporation. 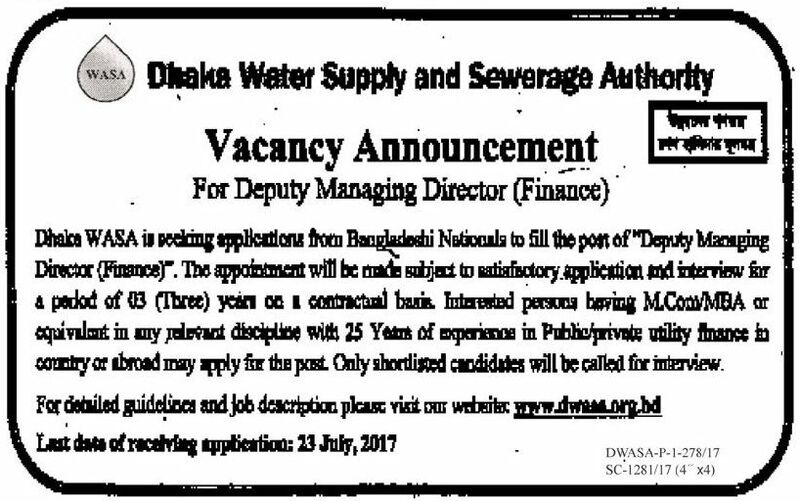 Otherwise, you can visit official website of Dhaka Wasa that is dwasa.org.bd If you want to apply for this job,you should submit your application within 23/07/2017. Dhaka wasa original job circular has been converted to an image file. Dhaka wasa related all information has been has been given bellow.